The thoughts and general musings of a writer, amateur musician and occasional witty sod. Still don’t understand the NHS Crisis? Use The Force! Last week, it was so clear to me. My latest rant on the NHS and #WeNeedToTalkAboutJeremy was written in my head, and I just needed time to type it out of my brain and on to the screen. It was a good rant too, questioning whether the BBC is fit for purpose to be the non-biased un-political news broadcaster it claims to be (SPOILER ALERT: it isn’t!) and how the UK government has used its contacts in finance to help further the privatisation of the NHS, which they still, to this very day, deny is happening. My wife came home half way through my rant. She was late, dishevelled, exhausted. Just another day at the GP surgery. She’d left home at 7am. It was now close to 9. She’d had no breaks. The food she’d taken with her for the day was still in her bag. I stopped my rant to sit with my wife. The next night I sat back down, in front of that draft and tried to pick up where I’d left off. I couldn’t. That baton that I’d laid down for myself was glued to the floor. I read through and there were some good links in there; questioning how the BBC could be run impartially when a Tory chosen former Bangkok governor with proven links to the private health industry was the broadcasters’ trust chairman, and had launched an investigation in to the BBC’s coverage of NHS privatisation as being too “liberal”. Better yet when the current BBC chairman, who was already a “business ambassador” of the Prime Minister, was recommended to replace the outgoing chairman was being investigated for involvement with tax avoidance at her job with a multi-national bank. Oh there were lots of other ideas and theories, but that’s all it was; ramblings. Yes, I was linking to sources, but it all felt so…futile. 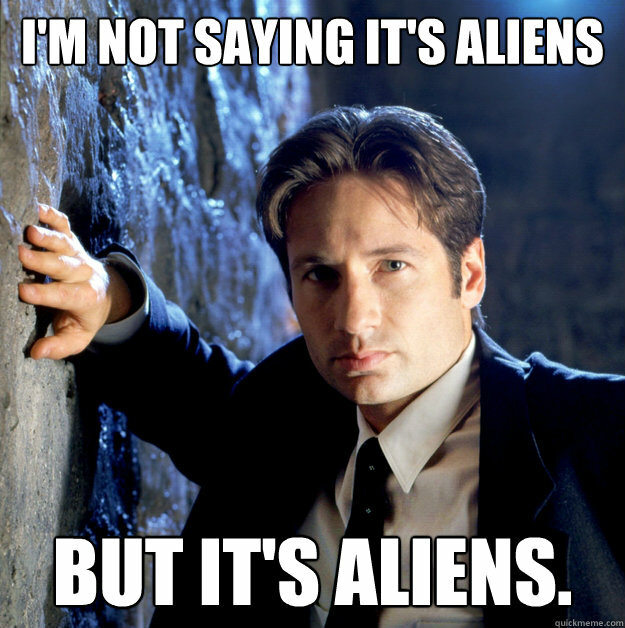 I realised the problem; I sounded like Fox Flippin’ Mulder!! Fox Mulder – you know him; main character (played by David Duchovny) in the soon to be revived X-Files TV show. A character that repeatedly shouted to anyone who he thought would listen about government conspiracies, the truth being out there and to trust no 1. My four previous articles had gathered quite the attention, and thanks to the lovely people on social media, have been seen by thousands – and let me tell you this; for someone who gets excited seeing his reader stats go in to double digits, this was quite the coup. The problem with this fifth article was this; for all the attention the previous four had received, I was still talking to people who were missing the point, or who didn’t have a clue what I was talking about. Some don’t even believe that there is a crisis within the NHS. I tried so many ways to explain the whole sordid, complicated affair, but I doubt I really made much difference. Now I want to make myself quite clear; comparing a 30 years + cinematic (yes, fictional, I know!) space opera to the very clear and present danger that our NHS faces may come across a little tactless and a bit of a joke, and yes I am trying to be more light-hearted this time. But as those who know me will testify, I take my Star Wars very seriously. Not as seriously as Batman or Superman, granted, but it would have been extremely difficult to link in saving our NHS with the Dark Knight. Plus it would have just resulted in one inevitable conclusion: “I’m Batman”! 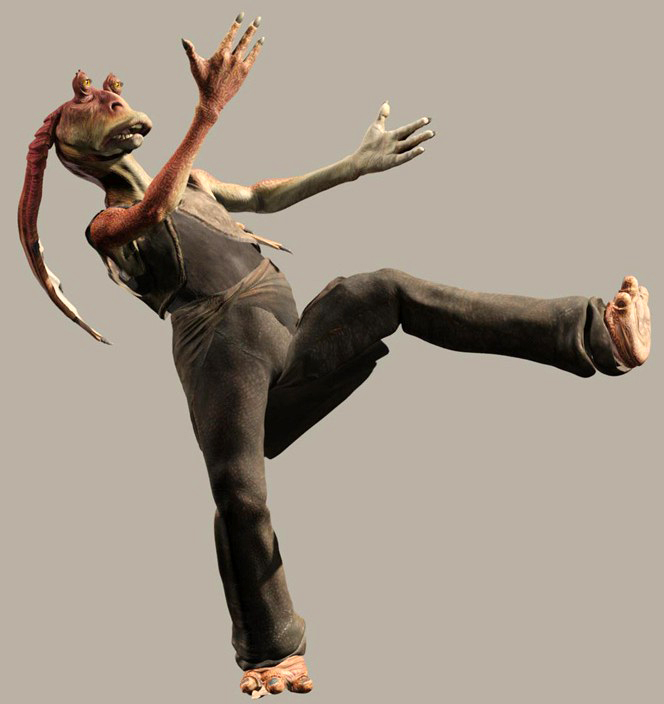 If you’re not so good with the entire Star Wars thing, it’s basically a classical good versus evil story where a small group of power hungry individuals are hell bent on lying to all the surrounding planets so they can get in to power and rule over them with increasing disdain for the people. Sound familiar now?! Allow me to break this down for you a little more…. 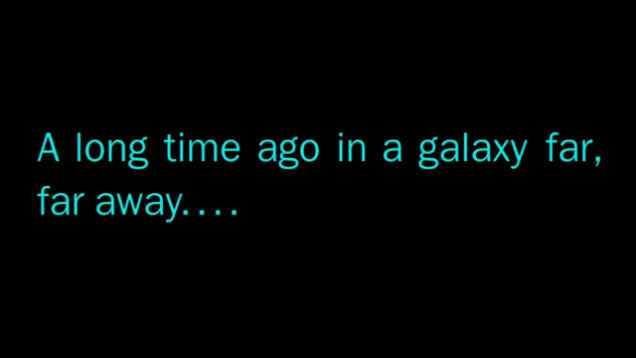 We have our NHS, Star Wars has its “galaxy far, far away”. That’s what this battle is about – saving our “galaxy” from an unwanted authoritarian power who wants to rule for no other reason that personal (and financial) gain. Next we have the all important Force; that mythical power source that connects all living things and can be harnessed by those with the knowledge for good deeds or bad. In our battle that’s the media, and both sides – the dark and the light – are using their skills to the best of their ability. 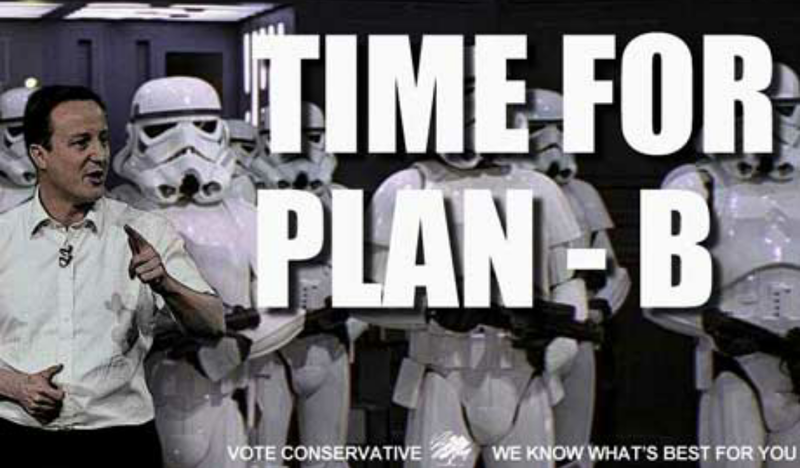 The Evil Galactic Empire is too easy; the Conservative government. Using secrecy, lies, manipulation and its well-trained hoard of right-wing dark-side-of-the-Force inclined Stormtroopers to bombard their way in to power and overthrow any resistance that could stop them from destroying the galaxy (and lets be honest, the universe!). The Empire built a battle station – the Death Star; its very presence creating fear, destroying the galaxy one piece at a time. Sounds much like The Health and Social Care Act 2012, which enabled private companies to dismantle and either take control of parts of the NHS, or close them down. Our doctors, nurses and other NHS staff are quite clearly the Jedi Knights. 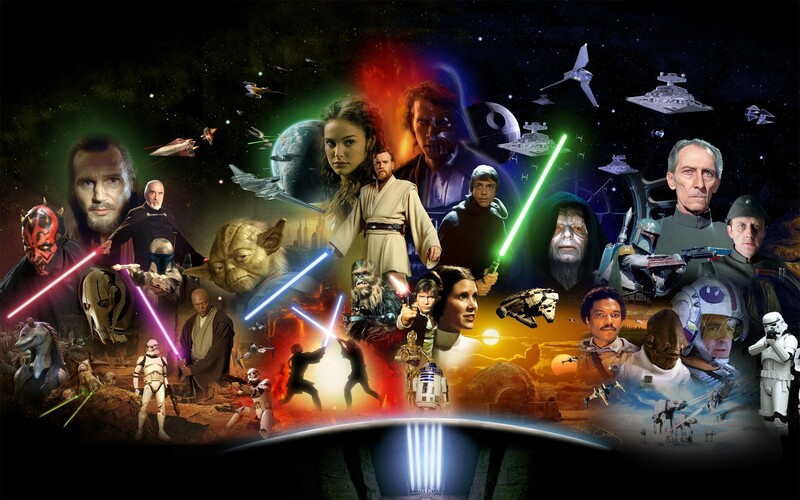 Characters from all corners who sacrificed everything to become powerful and respected keepers of the peace. Now slowly whittled down by being overstretched and under valued, soon to be hunted to the verge of extinction with numbers of potential new recruits getting thinner and thinner. This presumably means that our equivalent of the SIth Lords would lead us to equate Darth Vader (the biggest, baddest villain in the galaxy) with Jeremy Hunt. This is where the analogy takes a break for a second, simply because Mr. Hunt doesn’t even come close to being as awesome as Lord Vader. Yes, we have since found out that inside that walking iron lung beats the heart of an annoying whiny man-child with “mommy issues”, but this still holds Vader in much higher regard than Mr. Hunt will ever command. 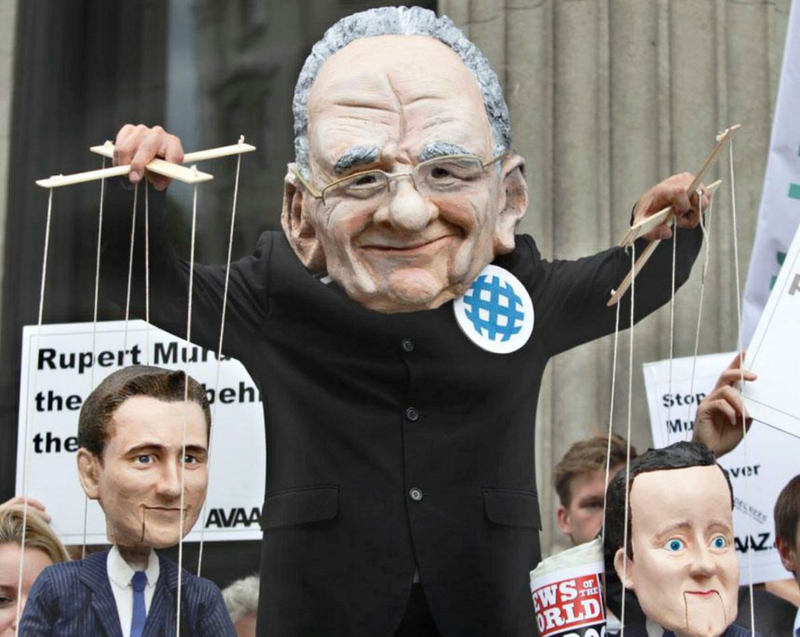 It would also imply that his boss Mr. Cameron would be the Emperor, but as I suggested after the results of the 2015 General Election, that role has long since been filled by Rupert Murdoch. 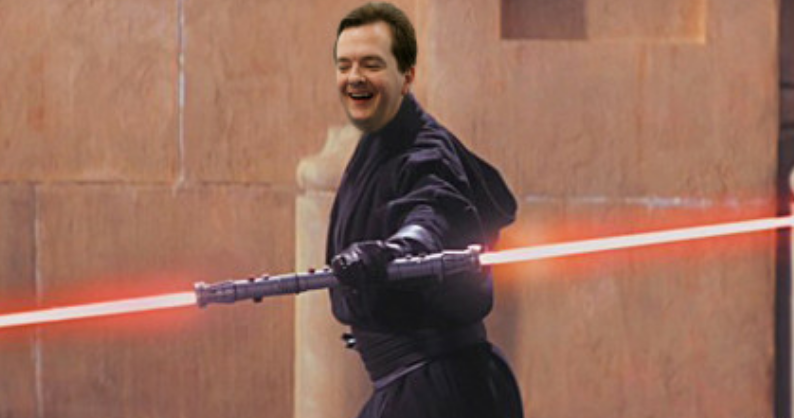 The BMA now, finally looks to be vying for the role of the Rebel Alliance. It’s taken them a while to get their act together, but after this weeks announcement that they will not be re-entering negotiations on junior doctors wages (the Sith want to cut them!) 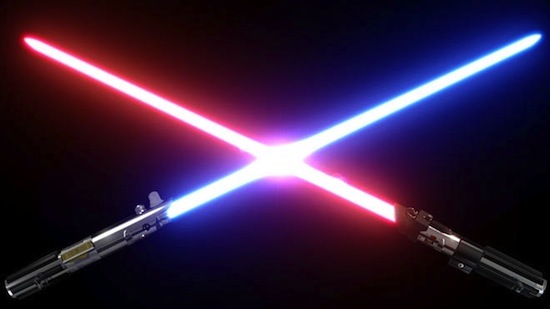 the British Medical Association are standing by their Jedi members and are ready to fight. Leaving the cute and cuddly analogy aside, we’re talking about these seemingly insignificant creatures who have little or no knowledge of the Force, and were happy going about their lives on the vast outskirts of this raging battle and yet have heard of the Galactic Empire and it’s stupid Sith Lords choking their way through the galaxy. This friend of mine, like me, is a Star Wars nut. We Star Wars nuts have one (of many) grudges against the creator George Lucas. A character so infantile that you want to slap him round the face with a Rankor tale. One that has such a grasp of the English language, and is so badly orientated that he often walks in to and gets locked in places he wishes he hadn’t (public toilets). Yes ladies and gentlemen, Michael Gove is Jar Jar Binks!! I’ve been trying to work out where we are in the story right now. I put us somewhere between Episodes III and IV. The reason I say that, is that the evil Empire is in power now. The voices of those persecuted are rising. The rebellion is gearing up. They’re out there on Yavin 4 right now. They’ve got some X-Wing jets and some pilots. Pretty soon you’ll hear the roar of #NHSSurvival. You’re about to see A New Hope! PS. If anyone at Lucasfilm or Disney are reading this, this comparison between our Health Service and your multi-million dollar property is just to highlight a point, so please don’t sue! As I sat down to start writing this, I was surrounded by a storm. A Twitter-Storm, but none the less, mud was flying. On Sunday 2nd August 2015, hot off the heels of #ImInWorkJeremy and #WeNeedToTalkAboutJeremy, we had #SaySorryHunt; which kind of feels like the Return Of The Jedi of the ongoing NHS Hashtag Wars. I’m not belittling the work of anything that shines a light on Jeremy Hunt’s ongoing attack on the NHS, and the manipulation of the media to create fear and distrust between medic and patient, but I do at the very least question the hashtags target. This is because it is taking aim at one man. Yes, it’s the Health Secretary, the man responsible for running the NHS and also responsible for the ridiculous state it’s in, but Mr. Hunt is a small part of a much larger beast that wants to devour our health service and spit out it’s bones. Mr. Hunt is never going to apologise for his actions because he thinks he’s doing the right thing. Quite clearly he’s not going to change his mind. And even if we get a vote of No Confidence in his abilities as Health Secretary, there will be another to take his place, and continue with the policies that were created within an institution that has been wanting to privatise the NHS for years; the politicians. A conversation on Facebook between myself and a colleague. It is we, the public that are caught in the middle of this of this battle between medic and politician (which, despite what the latter would have you believe, started with their reprehensible behaviour towards the medical profession), and yet many of us don’t know it’s happening . After years of mis and dis-information from certain branches of the media, coupled with Mr. Hunt’s demoralising speeches on “lazy” work-shy doctors, high waiting times, cancer scares etc. the people of this country are either scared and distrusting, or have simply no interest . Even with the “NHS Hashtag Trilogy”, people are still not getting the point of what thousands of medical professionals are trying to say. I’ve had multiple conversations on social media with people trying to understand what it is I, along with thousands of others, have been trying to get at. Lots of people still think that #ImInWorkJeremy and #WeNeedToTalkAboutJeremy is all about doctors complaining they don’t get paid enough. Of course, that is not the case at all. And it’s so frustrating! 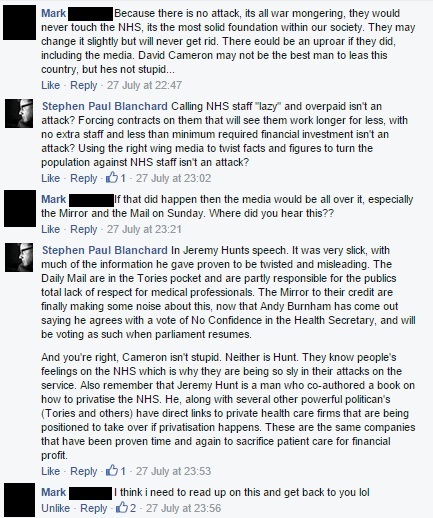 There are also those I spoke to who had no idea what #WeNeedToTalkAboutJeremy was even about. For all they knew, Jeremy Clarkson had been secretly filmed stumping his toe on a plank of wood and had wondered outside to punch a gibbon! Even people within the media didn’t know what this Twitter trend was on about, and that’s a sobering thought. 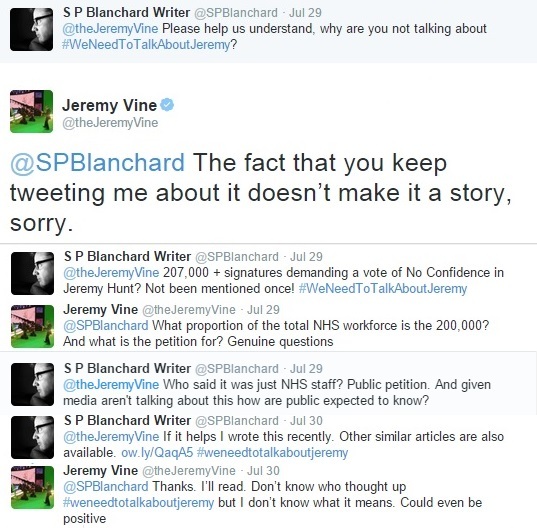 Jeremy Vine was one of many news presenters that I wrote and tweeted, asking them to explain why this massive online backlash against the Health Secretary wasn’t being reported. To his full credit he was the only one that replied, but as you can tell from the conversation, he had no idea what any of it meant. Once he dug deeper, he seemed to get the picture. This is what the NHS is up against – the desensitised population. The fact that people still do not the know the plight of the NHS and the damage caused by the Government is not their fault. Despite living in a world so well connected through communication, which should be widening our eyes and ears, we have become an increasingly insular society. We are surrounded by and are connected to multiple sources of information, yet have the ability to choose to read only what we’re interested in. On Twiitter I follow a raft of writers (and now NHS staff), while the person next to me just follows gossip sites giving the latest celebrity gossip. On the BBC app, we can choose what type of news we would like to be informed on, and remove from our feed the ones we don’t care about (not that it matters about the BBC when we’re talking about #WeNeedToTalkAboutJeremy – their silence on this continues!). We have our own lives to lead, and our own stresses and strains to deal with in an increasingly frantic world. To quote one person I met today: “why are you worried about the doctors? It’s not like they won’t have a job any more. They’ll probably earn more money “. True, maybe they would, but like we all know, that’s not what this fight is about. It’s about the National Health Service. Keeping free health care for future generations. The fact that people always gravitate towards the money is just another example of the type of society we live in. If you replace “rail” with “hospitals”, and “passengers” with “patients”, this will explain precisely what the health service will look like if privatised. Take the rail industry as a prime example. This once publicly owned transport network went through a complete privatisation programme between 1994 and 1997, and it remains one of the worst performing rail networks in the western world, with continued delays in service and hikes in ticket prices. This is the epitome of privatisation, and the reason why we cannot let this happen to the Health Service. The very nature of private business is to make money through providing a service. There is always a bottom line. Cuts may be made to stay in the black. Shareholders will always come before the service users. In the case of a service that provides medical care and treatment, surely this would be completely unacceptable, as cost cuts would be potentially life threatening to the “customer”. If you’re lucky, maybe you get a private health care company that is financially well off. Maybe they’re able to provide you with services that you hadn’t thought you needed. You may be sold on the idea of this extra treatment, or diagnostic tool, or insurance product, for extra piece of mind. It would be the medical equivalent of PPI’s! On 1st April 2013 (the date doubtless ringing alarm bells! 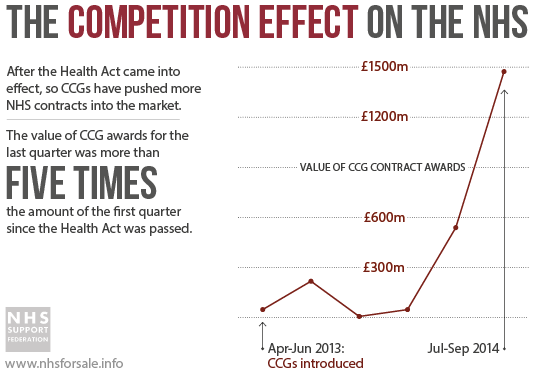 ), The Health & Social Care Act 2012 came in to force, much to the utter dismay of medical professionals. What the government dressed up as a step to making the Health Service fit for the modern world, was seen by those who actually know and work in the sector as ” the final stage in the systematic dismantling of the NHS […] carried out by stealth” (Doctor Youseff El-Gingihy, Guardian- 30 March 2013). Doctor Youseff El-Gingihy writing in The Guardian, the day before the Health and Social Care Act 2012 came in to force. One major part of this act was to open up the medical field to competition. In much the same way as the opening up of the country’s telecommunications industry, it allowed private medical firms to swoop in with the promise of a better service than provided by the public one. The idea was apparently that doing this would help drive up health care standards through business competition offering more patient choice. The fact is that even before this act came in to force the “marketisation of the NHS has driven up costs and produced worse results”, thus repeating the failings of the privatisation of the rail network. It was made abundantly clear to those who understood this unknown (to the public) yet enforced legislation, that patient care would inevitably be reduced while “there are huge profits to be made for private healthcare companies”. The blatant bad-mouthing and lack of respect from politicians and the media who make unsubstantiated, scaremongering claims and accusations based on twisted facts and figures. The thought that they will one day be forced to put the size of a shareholders bank account over the care of a patient. This insular society we live in has distracted the public from the fact that they are slowly losing their NHS. Free health care will soon be a thing of the past, and many people seem to neither know or care. There’s too many other things to worry about in life, “there will always be doctors”. We’ve had almost 70 years of the NHS, and as time has gone on we have taken it for granted. As time has gone on we have become an increasingly self-important society, where no one has bigger problems than us. This, coupled with the ridiculous scaremongering stories by the press and ill-informed politicians has created the “worried well”, who believe that because they “haven’t stopped sneezing all day” (true story – hay fever!) and because the health service is paid for by their taxes, they deserve to see a doctor more than someone who has chest pain and is in a full on heart attack. We as a society have forgotten to take care of ourselves, of each other. We rely increasingly on professional medical advice for symptoms that are in no way serious, while removing that attention from someone who actually needs it. This is why the NHS is stretched beyond breaking point, and this is why private companies can swoop in and save the day, as long as you have a credit card! On a personal note I feel it’s time for me to stop talking about this for a bit. Talking people can’t hear a whisper, and yet when you shout at the top of your voice for too long, those people just turn and walk away. No matter what you take from everything I have written on this NHS fiasco, remember this: there is currently an online petition to debate a vote of No Confidence in Jeremy Hunt. Parliament requires a minimum of 100,000 signatures for a debate to be considered. The number is now way past that at over 211,000, and it’s still growing. If nothing else, keep one eye on this. If this Government continues to come back with ridiculous defensive statements based on the same twisted facts and figures that they have fed you for so long, or if they do not even call for a (serious) debate, then you have hard proof (more so!) that this Government does not have your best interests and those of your friends and family at heart. Yesterday morning, the silence was broken. Fifteen days after Jeremy Hunt made his inflammatory speech at the Kings Fund in Central London, giving NHS consultants an ultimatum on working weekends, and describing the rest of the staff as “lazy” and over-paid, the desperate voices of those people he bad-mouthed and those who support them were set free. After spending over two weeks building up in the virtual pressure cooker of social media, traditional news outlets have finally started to take notice. 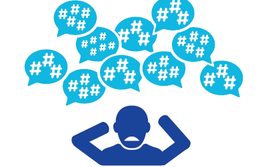 Jeremy Vine used his Twitter feed to break two weeks of silence around #WeNeedToTalkAboutJeremy. Jeremy Vine is the first mainstream media broadcaster to openly take notice of #WeNeedToTalkAboutJeremy. He neither supports nor ridicules, merely highlighting the fact that there is a story here. Whether he decides to take it further and make it part of his Radio 2 show remains to be seen, but the fact that he recognises it, and has put it in the public arena, means that the hard part is about to start. The public’s take on this is crucial, and the petition to debate a vote of No Confidence in the Health Secretary could be seen as a risky move. What is seen as a democratic register of the public’s view by some can also be questioned for it’s validity – ‘it’s just NHS staff signing’ or ‘people are just bored’. I mean if you can get a petition going to get a flavour of low fat yoghurt back on the supermarket shelves you could petition for anything. The danger with this petition was that the public wouldn’t take it seriously; that it was ‘those doctors whinging again’. Which is sad because that would miss the point completely. Reputation is everything in a career, especially in one as publicly scrutinised as the NHS. Mr. Hunts speech, where he (among other things) put the emphasis on consultants and their apparent refusal to work weekends as the reason for higher patient deaths on Saturdays and Sundays (totally wrong), has made a scapegoat of that particular senior role in the health service, while still allowing the Health Secretary to appear to maintain the view that he cares for the NHS. He turned the blame of failure of weekend access on a group of people who, yes, do have an opt out clause in their contract so they don’t work weekends but, as you will be able to read already in the Mirror, and from this weekend in the Independent, “88% of consultants are already working weekends”, based on a survey by the BMA of almost 900. The Mirror starts to expose the lies. Here’s the truth about doctors, and I can say this because I’m married to one. People don’t become doctors or nurses for a dream working week. They don’t sign up because they’ll have time for lengthy breaks during the day, and they certainly don’t do it for the money. 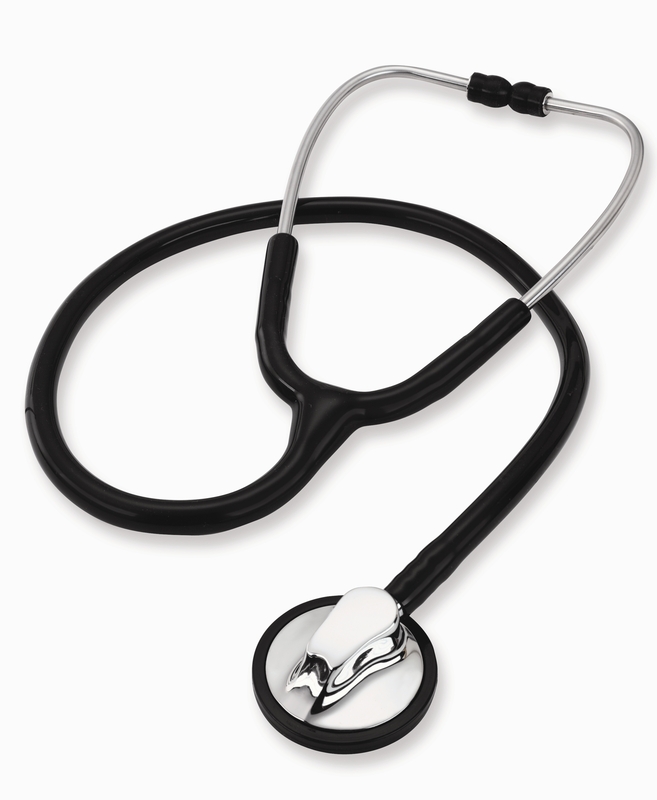 People become doctors because they feel they can help, they can make a difference. They spend at least 10 years training and honing their skills to be the best they can be before they are officially qualified, and even then, throughout their entire career, they never stop honing and training. They spend an increasing amount of time in an environment that never stops, having to tell patients often horrifying/heartbreaking truths, while diagnosing conditions from their encyclopaedic medical knowledge, all the time speaking to patients who may be as nice as anything, or rude and uncooperative. 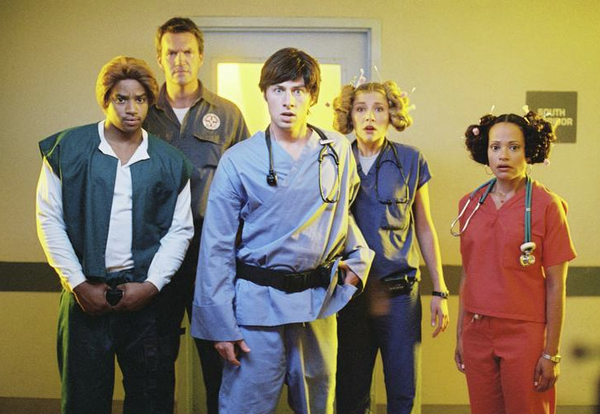 Now here’s the thing about medical professionals – none of that bothers them. They will never complain about their job because it’s what they love, it’s what they signed up for. Long hours, no breaks, finishing late – it’s all part of the job, and that includes working at weekends. Doctors accepted this ages ago because of how our modern society functions. Thousands of people working shifts which includes weekends, and the staff at the NHS knew they would have to adapt to that. What staff at the NHS do not appreciate, is their own boss telling them that they are useless, they’re not doing enough and should work more but be paid less. This whole notion of a seven day working week for the NHS already happens because of demand and need from the public, but there is one fundamental question nether Mr. Hunt nor the Health Department has answered – how will this be paid for? For a hospital to be fully functional at the weekend extra staff of all levels are required. Then there’s support teams outside the hospital walls; social care workers, councillors etc. They will all require funding, which the the £8bn the Government pledged in the manifesto will barely touch. Here’s another thing about medical professionals; we, our society, will always need them. There will come a point where you need to make an appointment to see that nurse, or you need to sit down with a consultant, or you may need to pay a visit to A&E. The thing we are fighting for is how those life-saving services are going to be funded. We live in a capitalist society so all those man hours, knowledge and equipment need to be paid for. Time is money, and that money must come from somewhere. Do we really want to squander a universal free health care system that is paid for through our taxes and end up paying insurance premiums for check ups and examinations that may well be a waste of medical time, but will create a profit? While I sit here telling you about all this, the National Health Service is being dismantled right in front of us. All this media attack from the government is a smokescreen, to turn public opinion against the ‘money grabbing work-shy doctors’ who in reality are working above and beyond what should be realistically expected of them, working way past the end of their shift to make sure patients get the care they deserve. In the meantime those patients are seeing ‘stories’ in certain right wing Tory linked media saying ‘leg pain is linked to cancer’ or ‘neck ache could be cancer’ or ‘Cancer Cancer Cancer’, (remember all the stories where “my doctor ignored all my symptoms and it was cancer”), increasing fear and therefore demand on medical staff way beyond capacity, so doctors have to not only deal with those who require much needed treatment and help, but also the “worried well”. This in turn portrays the doctors as unable to cope with their job, but don’t worry, here’s a privately run medical company who ‘really know how to do their job’ so everything’s ok. Oh, and what’s your credit card details please? Since GP’s were forced to take control of the budget of all health services for their own locality back in 2010, they had to commission services on an increasingly smaller budget whilst patient demand has also increased exponentially. This has also meant time taken away from running their GP surgeries and stretching patient care even further, not that the doctors would ever let you see that. 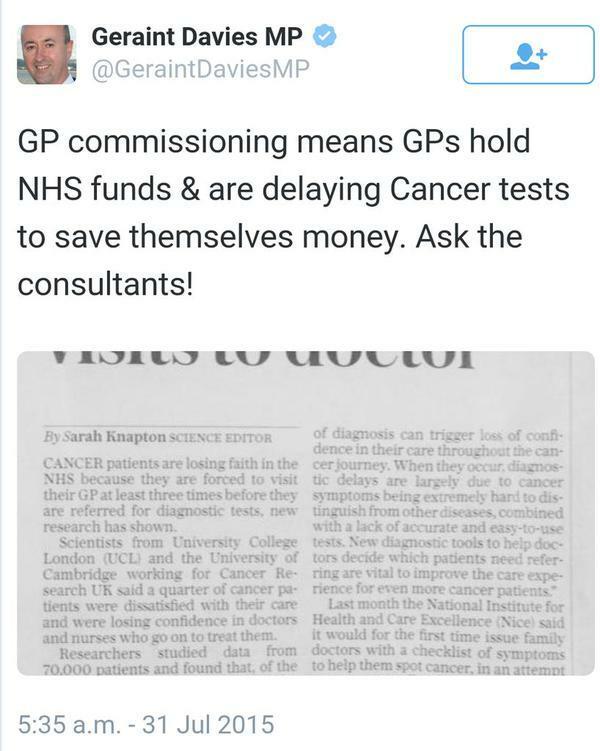 This model that the government imposed on them, against advice of medical professionals, was set up for GP’s to fail. It is this situation, imposed by the previous coalition government, that has paved the way for private companies to swoop in and take over. We already have the likes of Virgin Health providing their own service. 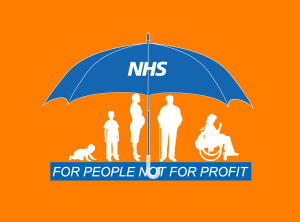 As soon as patient demand picks up, they will be made to pay for extras and eventually the NHS will be nothing more than a brand name, the heart of its ‘free for all’ service ripped out. The public needs to step in and join the fight. The twisted facts that are being released to the media are nothing more than pro-government, pro-privatisation, anti-NHS propaganda, specifically designed to cause fear and confusion among the public. The battle lines here are very clear; do you trust a government that manipulates statistics and twist figures to serve their own fictional narrative of ‘lazy doctors’, while many of them have their personal links to private health care companies which stand to take considerable profit at the expense of patient health, and who are conveniently recommended to receive 10% pay rises, or do you trust the diligent medical professionals who look after your loved ones without charge, that never complain about their vocation and are forced in to a pay-cut, while being strong armed to working longer hours, but are now fighting to get back their dignity and respect? The only common ground that the doctors and nurses have with Jeremy Hunt and the current Conservative government is that they both want a seven day NHS. There is already a seven day NHS. The issue is that the Government don’t want to pay for it, so they are turning responsibility and blame on those who are doing the job. This is why it was imperative that the mainstream media began talking about it. Now, with the likes of the BBC’s Jeremy Vine, and the Mirror and Independent getting the story out of social media and in to the full view of the public arena, we can finally get the voices of these hard-working people heard and understood. US Election: Choice? What choice?